When the seasons change I like to switch my skincare routine and tailor it too my current skin situation. Whatever the weather or the season, I'll always pack in the hydration as to me, hydrated skin is the step to a clear, glowing complexion. Recently, I've been testing some new products that either dip in and out of my routine when needed or have become my go to skin products for Spring. Pai Camelia and Rose Gentle Cleanser* - Without a doubt, cleanser is the most important step of a skincare routine, forget the moisturisers, the serums and endless treatments, if there's one product to use that will maintain clean, hydrated and healthy skin, it's a cleanser and this beautiful product from Pai is my current go to. The 100% organic and natural ingredient list makes this is a one stop cleanser, suitable for all skin types. The thick cream consistency smooths beautifully over the skin when massaged in and helps to break down any makeup, impurities and unclog pores, leaving you with a radiant complexion. Oozing with omegas 6 & 9 and Vitamin E this will help replenish the skins moisture barrier, whilst keeping the skin supple and soft. Balance Me Congested Skin Serum - As my skin's been stressed and tired lately, I've had some unwanted blemishes appear and I've found a must have product that helps reduce the redness around the blemish and prevents it from coming through the skin. Balance Me have created a serum that is suitable for everyday use for those who have an oily, blemish prone skin but also for people who have a normal / dry / combination skin type that experiences breakouts every now and then. The Spruce Knot helps to calm redness as soon as the area becomes inflamed whilst the Kanuka Essential Oils clear any signs of congestion. To soothe, calm and maintain moisture, Balance Me have used Camomile, Lavender and Eucalyptus which also make this a non drying formula. To make sure my skin stays clear for Spring/Summer, I love using this on the days when my skin is feeling clogged or greasy. Kiehl's Cilantro & Orange Extract Pollutant Defence Face Masque - Whether my skin is feeling dull, tired, clogged, dry etc, I always reach for a face mask as I am a firm believer that the right one, can make all the difference. To defend and replenish, this green delight from Kiehl's is already my skincare product of the year. The luxurious feeling thick formula helps to protect the skin from impurities and any damaging pollution but also helps nourish and treat the skin. The most important thing you can do when deciding which face mask to use or whether you need one, is to look at your skin and listen to what it's telling you. I've been using this about 3 times a week now since first picking it up a few months ago as my skin needs constant protection and replenishment to maintain radiance. This works as an overnight mask so you first apply a thick layer and leave it for 5 minutes, take away the bulk of the product and simply massage in the remainder before going in with creams, serums and oils and in the morning, you are left with a visibly brighter face and long term results. Murad Invisiblur Protecting Shield SPF 50* - The absolute minimum SPF you should wear on your face everyday whether you're outside in the sun or only exposed in short bursts is SPF30. Wearing an SPF everyday is such an important step in your routine and shouldn't be skipped in the mornings and this wonder product from Murad ensures my skin is protected, everyday. This gel based formula is a multi tasking product that works as a primer and blurs the skin, treats the skin by improving signs of ageing and of course, protects us from the sun. With a combination of mushroom peptides, this is a clear product that creates a soft focus effect on the skin to blur fine lines and imperfections. I apply this after I've carried out my skincare routine and love to use it as a primer to create a smooth base for my tinted moisturiser / foundation. 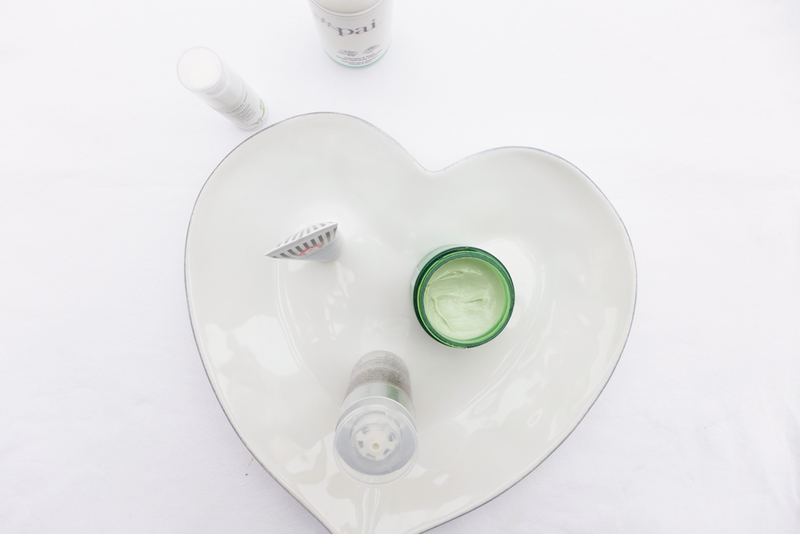 First Aid Beauty Ultra Repair Cream - As we move into Spring/Summer it's vital to ensure we are using hydrating products to help get that Summer glow. I've been using this intense hydration boosting cream form First Aid Beauty for a few weeks now and it's worked perfectly at keeping my skin looking healthy and feeling fresh. The colloidal oatmeal, shea butter and soothing eucalyptus help penetrate and hydrate the skin from within. I haven't been using this everyday as I'm back onto my L'Occitane face cream, but for the days when my skin is drier than usual, this is perfect. What are your go to skincare products for Spring?